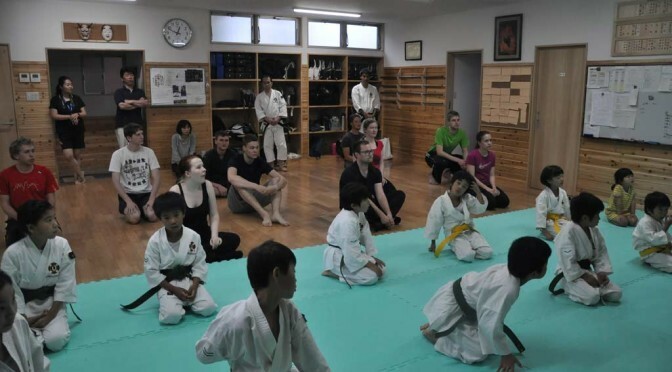 On the 13th of June we went to visit a Shorinji Kenpo Dojo. Since I have some experience with martial arts this was something I had been looking forward to doing and it didn’t disappoint. At first we learned about the history and philosophy behind Shorinji Kenpo. We learned how it had been created in Japan after the Second World War and how it really was a way of life. The teachers clearly had a passion for what they were doing. 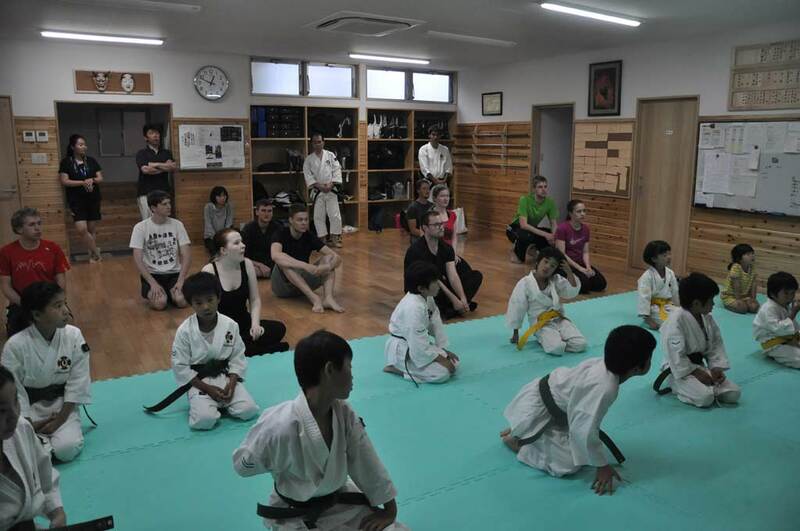 When we had lunch we got to interact with some of the young students at the dojo. As always they had tons of energy and lots of smiles for us. After lunch we got our second chance to interact with the kids when the teachers taught us several different techniques and the kids helped us along. I quickly found out that my experience with other martial arts didn’t help me much, but it was still really fun and quite the experience. It was really amazing to look at the children work and teach. Unlike us, even though they were only second and fourth graders, they clearly knew what they were doing. After the dojo we had a short visit to a shrine where most of us got our fortunes and luckily mine wasn’t too bad. I ended my day with a BBQ party that my host family held with another host family and some friends. It was really nice and even though I was really tired from all the activities all day I really enjoyed the company and, of course, the food.